I have a question for you: WHAT do you call a drink you can’t drink? Pranking Punch? Jokester Juice? Fibbing Fanta? 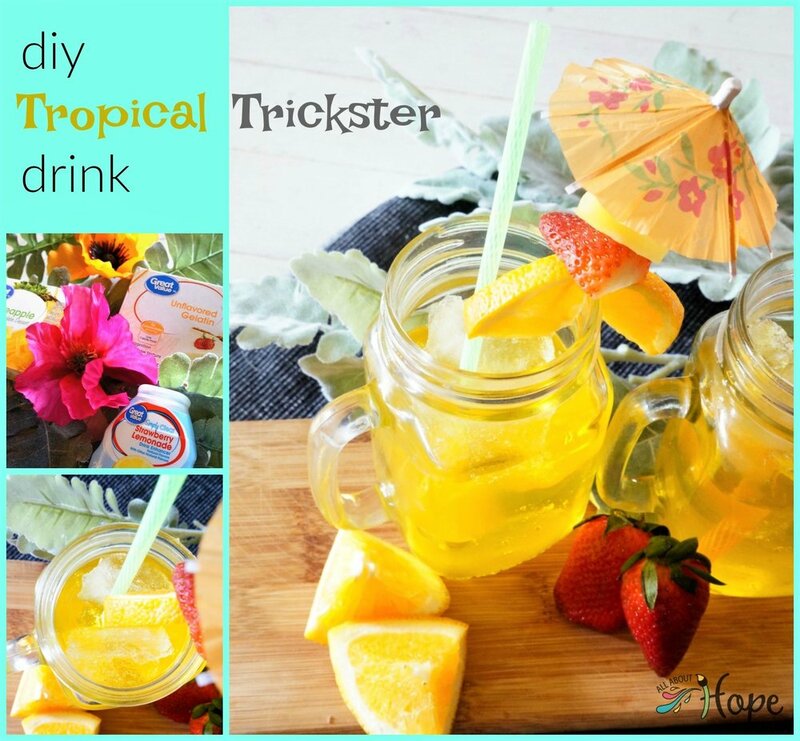 How about a Tropical Trickster Drink! After all, it is April Fool’s, so why not have a little fun? Before I get to the “Juicy” details haha, let me share a bit of its inspiration. It’s about one of my best April Fool’s days ever. Years ago, before the kiddos existed, my hubby had called me at work with some news. 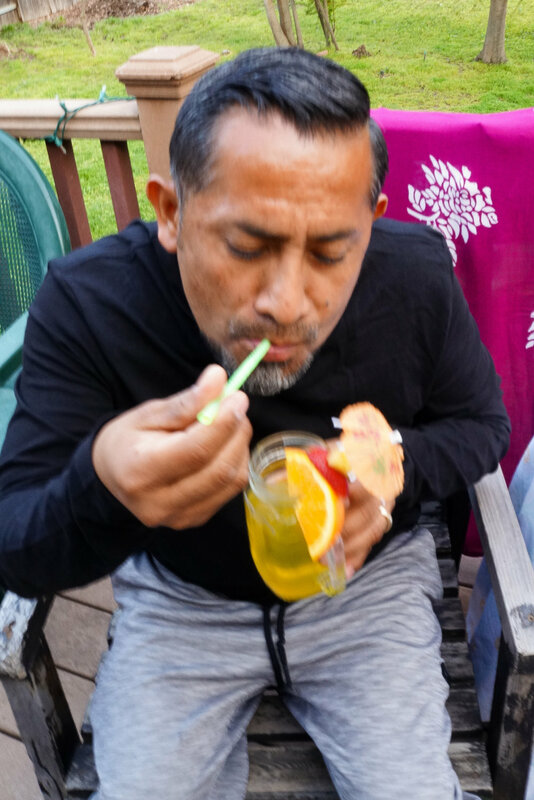 He shared that he’d done really well during the quarter, qualifying him for an upcoming trip to… HAWAII!!! Oh my goodness, I was excited and skeptical, could this be real?! I don’t think I could’ve handled that kind of prank. As much as I questioned him, reminded him that it was April Fool’s day, and could easily be a prank; he assured me it was NO prank. And it really wasn’t! We happily packed for our Hawaiian vacation the next month and had an amazing time. Ahh, nice right? Though I can’t beat that kind of April Fool’s day, maybe we can bring a little Island fun to our friends and family. 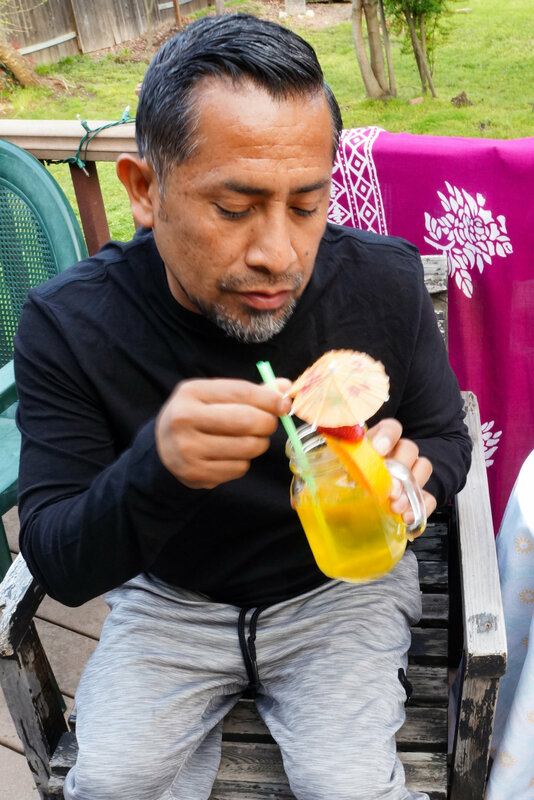 Check out the tropical trickster drink below.🏝🌞, how I convinced my hubby to enjoy a tropical drink and a little flashback photo. Aloha and Happy April Fool’s Day friends! 1. 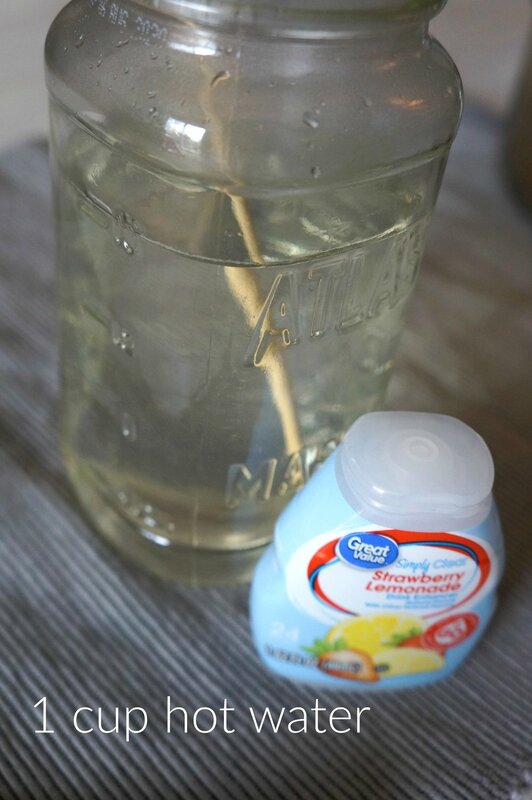 Add 1 cup cold water to a bowl/jar(easier to pour from), 1 unflavored gelatin packet and *2 somewhat generous squirts of *clear flavoring. 2. Let sit for a few seconds before stirring. *Start with 2 and check for sweetness after adding hot water. 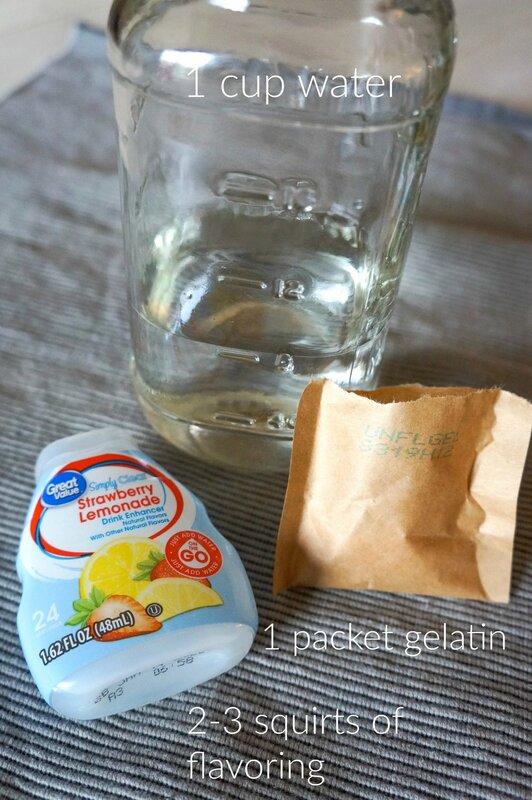 1.Make pineapple (or your choice) jello mix per box instructions and pour 1/2 cup into jar and chill for 30 mjn. in fridge. 2. Pull ice molds from fridge and transfer to freezer for 20-30 min. to create ice crystals on top. 3. Dip molds in warm water for 30 secs -1 min. and then use a knife to free sides from mold. 4. Flip over onto tray/plate and tap out. If “ice” breaks no worries, it just adds to the realistic appearance of ice. 5. 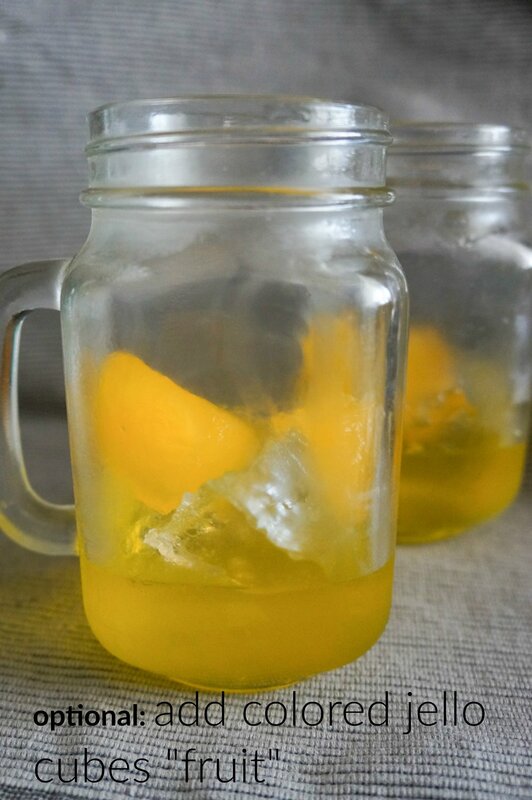 Pull drink from fridge and add 3-4 jello ice cubes. optional add a few of the colored jello cubes for fake fruit. 6. 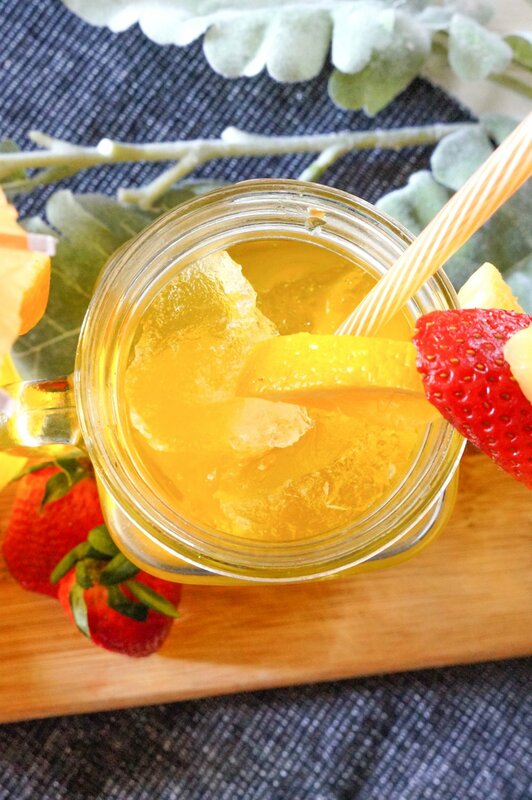 Add another 1/2 cup of pineapple jello, chill 30 min and add a few ice cubes to finish it off. 7. Chill until fully set (3hours) and or ready to use. 8. Cut up fruit , assemble and have fun PRANKING! optional add 2-3 TBSP of pineapple juice(from can) over the ice. Here we are posing for my “Hawaiian craft” that I was working on. He obliged as I mentioned that I would be talking briefly about our April fool’s years ago, our trip and tie it into my Hawaiian themed craft. ALL TRUE with a tiny twist and surprise. 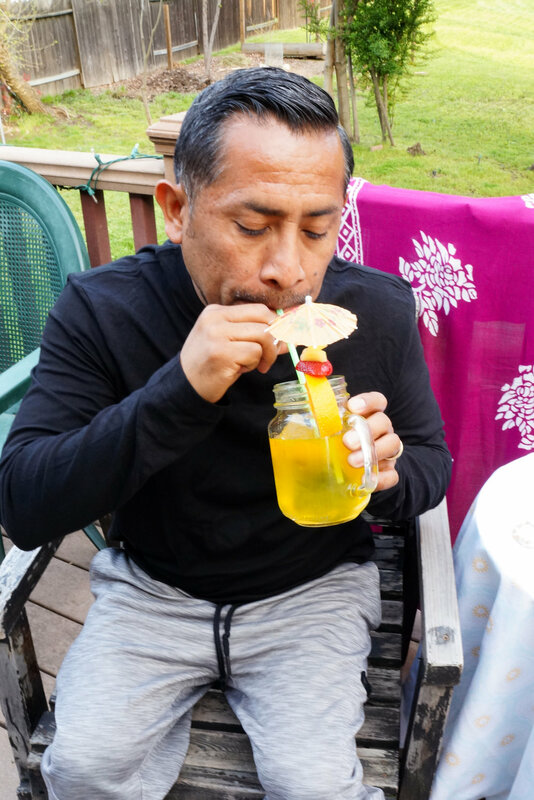 My poor, poor, unsuspecting hubby lol He was really excited to try the drink when we were done with the photo. It’s hours later and I’m still cracking up. “What the heck!? What’s THIS?!?! ?” “What’s THIS?!? !” he repeatedly asks. He tries drinking again and nothing. He is beyond confused and slightly disappointed that he can’t in fact drink it but I explain what REALLY is happening. He cracks up and says, “Oh, Lovey”. To share: take a photo of your prank, click on photo submission and submit the photo.